LEXINGTON, Ky., (Jan. 17, 2017) – Producers face challenges and opportunities when applying poultry litter to cropland. The University of Kentucky College of Agriculture Food and Environment will host a forum to help producers learn best management practices to apply poultry litter. 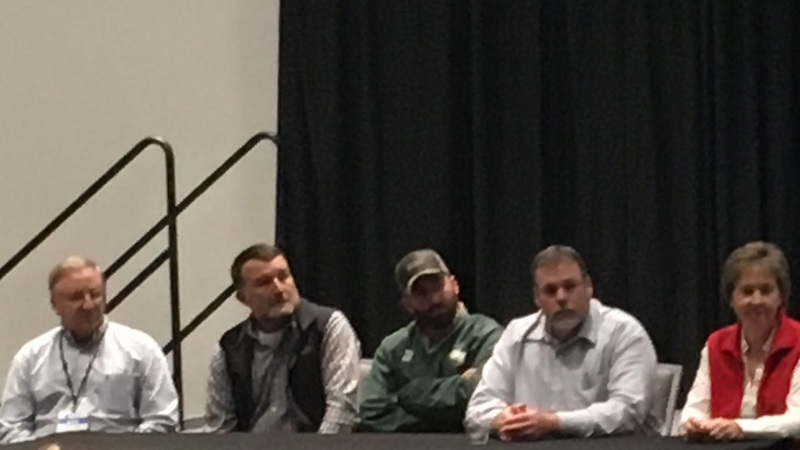 The forum, titled Poultry Litter Lessons from the Delmarva and the Ohio Valley, will begin at 1:30 p.m. CST Jan. 25 at the Owensboro Convention Center and again at 9:30 a.m. CST Jan. 26 at the Christian County Extension office. They are sponsored by the Kentucky Soybean Promotion Board and the Kentucky Corn Promotion Council. The forums will feature Kentucky producers who use poultry litter as well as two producers who face strict environmental regulations like those in the Chesapeake Bay watershed. For more information on the program, contact Shockley at jordan.shockley@uky.edu; Edwin Ritchey, UK soil extension specialist, at edwin.ritchey@uky.edu; Clint Hardy, Daviess County agriculture and natural resources extension agent, at chardy@uky.edu; or Jay Stone, Christian County agriculture and natural resources extension agent, at jstone@uky.edu. Growers are considering planting soybean after soybean, especially full season soybean after full season soybean, over some acreage in 2017. Many growers have little experience with second year full season soybean, having kept with their existing crop rotations. Other growers, experiencing problems like soybean cyst nematode in some fields, have avoided soybean after soybean on all acres they manage. I observed two extension agricultural economics presentations modeling profit/loss to different crop rotation options, and where second year soybean yield loss relative to first year soybean was set at either 5 or 10 %, in the absence of field data.